It has been an excruciatingly long wait—333 days. Finally, however, the breathtaking saga of chemistry-teacher-turned-meth-kingpin has returned. AMC’s universally acclaimed series, Breaking Bad, returned for its final season premier on Aug. 11 and aired its second episode on Sunday, Aug. 18. 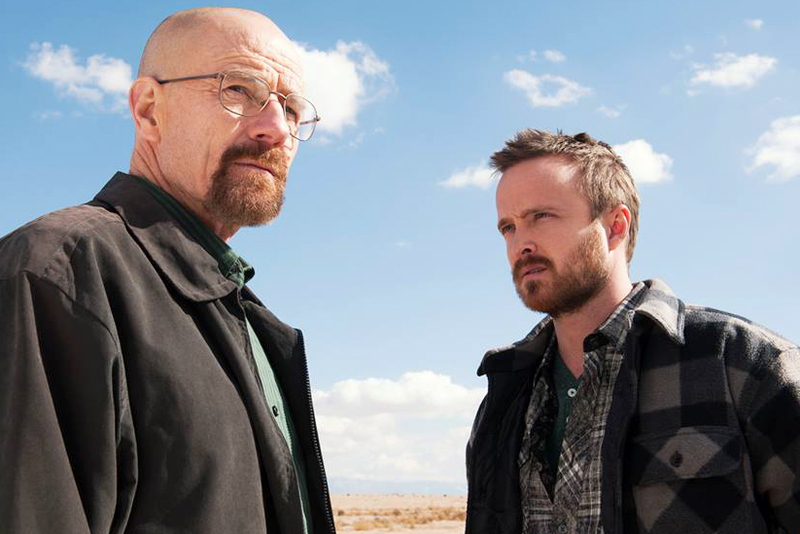 The final season will have eight episodes, according to the show’s creator, Vince Gilligan. “I am sad that the show is over but I’ve not had a bad night’s sleep worrying that we were ending at the wrong time,” Gilligan said. Now, all that audiences are left to wonder is who’s staying in Albuquerque and who might take a trip to Belize. The premier opened to an audience of 5.92 million, making it the most-watched episode in the series’ history. The show, which has won seven Primetime Emmy Awards, follows the story of Walter White, a middle-aged chemistry teacher who is diagnosed with cancer and subsequently turns to a life of crime, “cooking” methamphetamine to secure his family’s financial security after his death. Walt’s choices through the series have polarized viewers, and several critics have praised the show’s commentary on morality. Walt is played by Bryan Cranston, most famous for his previous character on Fox’s Malcolm in the Middle. “We needed an actor to play a character who was very dark and nasty but at the end of the hour you had to feel sorry for him,” Gilligan said. Cranston has won multiple awards for his portrayal of Walt, and his performance carries the first two episodes of the new season. His ability to invoke bizarre pity one minute and instill dark fear the next has become a hallmark of the series, and is part of the reason viewers have fallen in love with such a twisted character. Aaron Paul, who portrays Walt’s former student and partner-in-crime Jesse Pinkman, has a strong but muted role in the first two episodes of the season. As Jesse’s story moves closer to the center of attention in the third episode, Paul’s performance will be a highlight of the series as it has been over the past four. Dean Norris, who acts as Hank, the DEA agent brother-in-law of Walt, gave his most intense performance of the series in the first two episodes. In fact, his scenes are probably the most heart-stopping in the episodes so far. The gravity he brings to the first two episodes presents a new, helpless-yet-furious side of the character that hasn’t been shown. Of course, most of the credit for the success of these two episodes, and the series, goes to the writers. The slow burn that has characterized the series has finally built up to this point, and the gradual shifts in the characters’ demeanors as well as their circumstances defines what the show has become. Notably, the writers have been praised for effective use of symbolism throughout the series. Their use of color and nuanced changes in Walt’s characteristics foreshadow his gradual descent into darkness, and they also mirror the fates of the other characters. Symbols such as the pink teddy bear of Season Two and the fly of Season Four continue to perplex and intrigue critics. Similar symbols have carried into the new season and have spawned various fan theories for the possible ending. The first two episodes of season Five, Part Two, feel like the dip in a roller coaster that’s been building up for five years, and viewers can barely hang on for the ride.